I love bread, all sorts of bread; sourdough, ciabatta, multigrain, baguettes, soda bread. Preferably warm and slathered in butter or with some good cheese or pate. Really is there anything better? I am slowly developing my bread making skills and overcome my fear of using real yeast. There is something so comforting about making your own bread, the way it rises, the way it takes on a life of its own and develops in to something so comforting and satisfying. Bread is such a staple around the world, a key part of so many cultures, whether tortilla in Mexico or a baguette in France or naan in India. It is at the heart of so much. Even the very word bread itself can conveys so much...having wound its way through language itself. Bread in Idiom from Schott's Food & Drink Miscellany, a most interesting little book full of, well full of interesting miscellany. Those on the breadline live a bread and cheese existence unable to break bread with others or even to fill their hungry breadbaskets. Unless, that is, a breadwinner knows which side his bread is buttered on and decides to use his loaf and cast his bread upon the water. Such a bread and butter way of life can be brightened by the bread and circuses of popular entertainment - without doubt the greatest things since sliced bread - yet entertainment always seems to cost a lot of bread, and one cannot help but feel that some people are only able to earn a crust by taking the bread out of one's mouth. So I am very happy that despite being on 6 weeks of especially healthy living, there is no requirement to do anything silly like cut out all carbs. Mr Atkins has a lot to answer for! 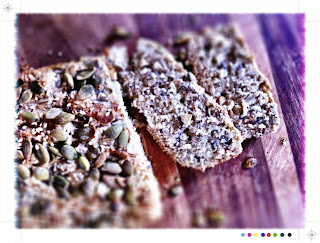 I am a fan of Annabel's Busy Peoples' Bread and I came across Heidi's Easy Little Bread just the other week. I can attest it is delicious just as is. I also see that Heidi was inspired by Natalie Oldfield's Gran's Family Table Recipes Inspired by Dulcie May Booker, actually a NZ cookbook, so this little bread is well traveled and has come full circle, inspiring people all around the globe. 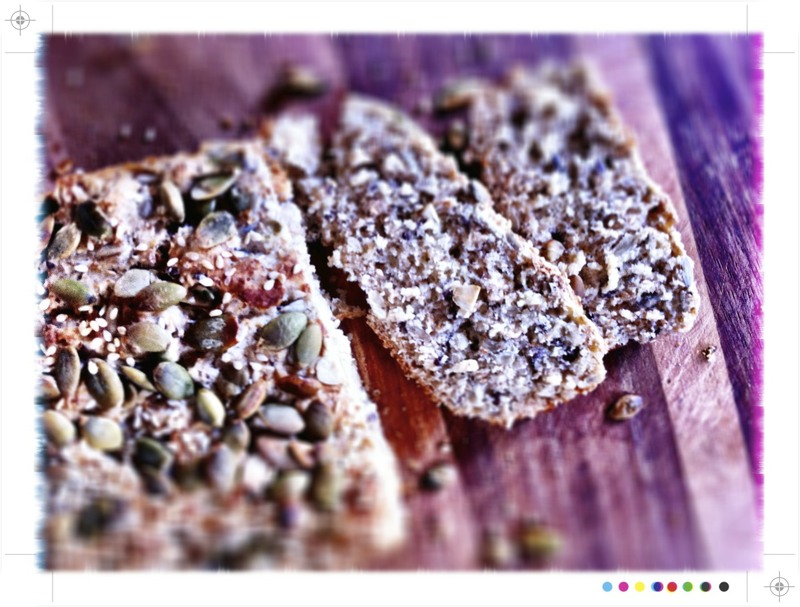 I like bread full of, and topped with lots of different seeds so I wanted to add some of them to the mix. So this bread is inspired by both these recipes. 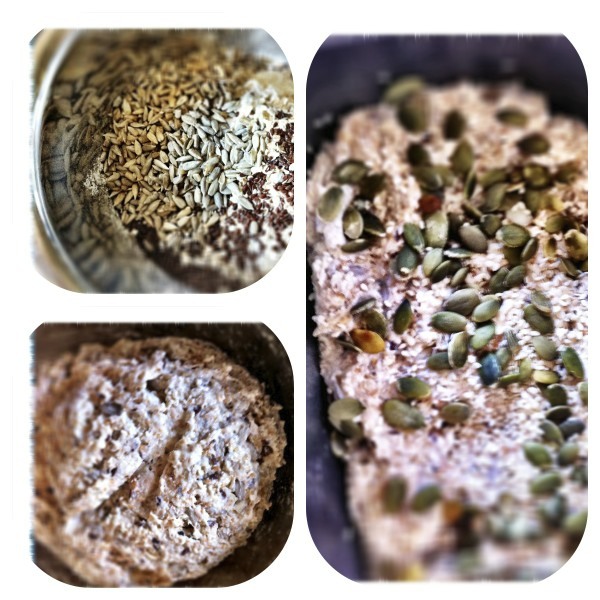 Plus it gave me a chance to experiment a little more with my new favourite flour, spelt flour. 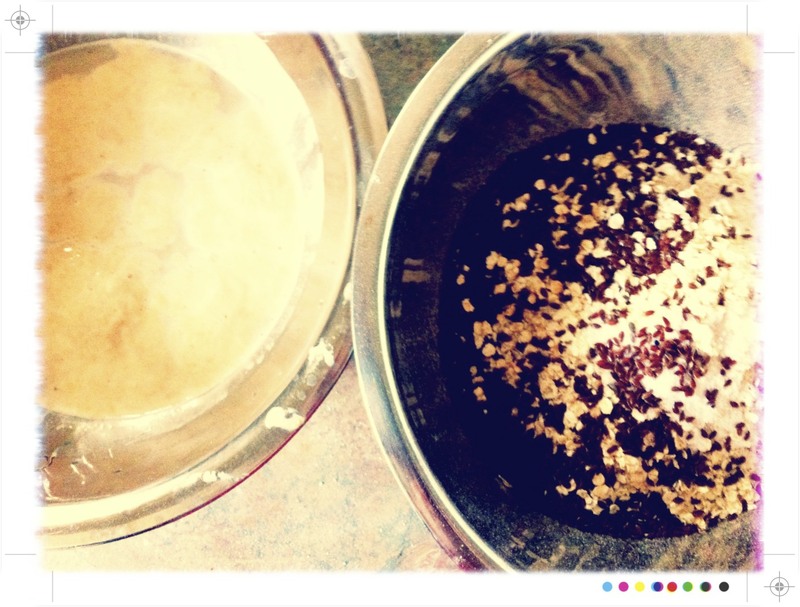 Like both of these breads it is incredibly easy with no kneading required. Butter or oil spray to grease baking tin. 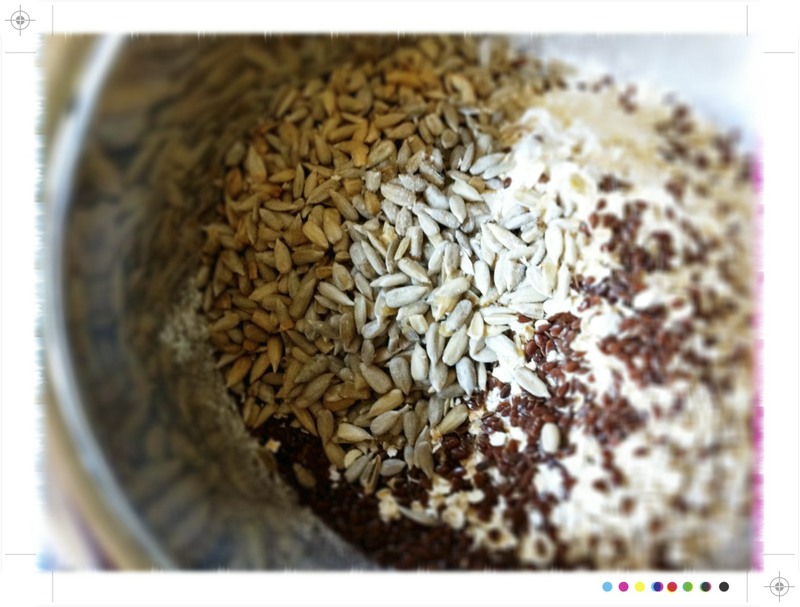 Place the warm water in a bowl and sprinkle over the yeast. Stir until the yeast dissolves and then stir in the honey. Set aside for 10 minutes until the yeast begins to work its magic. You'll know t has when it swells and bubbles. 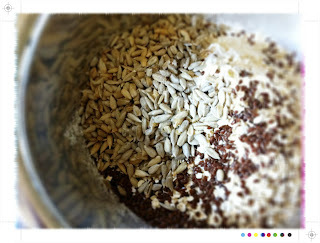 In a large bowl add the flours, rolled oats, salt, flax seeds and sunflower seeds. Stir to combine and then add the yeast mixture. 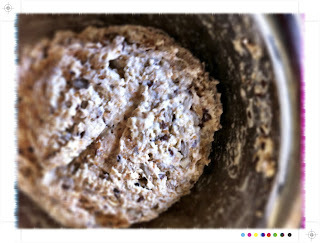 Mix the dough well. It should come together very easily and will be quite a moist, almost sticky dough. Oil a large loaf tin with butter or a quick spray of oil. 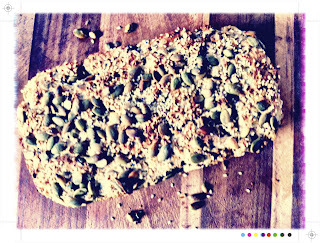 Place the dough in the loaf tin, sprinkle the pumpkin and sesame seeds over the top, cover with a slightly damp tea towel and leave in a warm place for half an hour to allow the dough to rise. It will double in size if all is going according to plan. I find just under the heat pump is the perfect spot. Preheat your oven to 180C/350F. Once the bread is risen pop it in the oven for 35-40 minutes or until golden on top. Check after 30 minutes. As always it will depend on your oven. When it is ready tap and if it sounds hollow it is done. For a little extra toasty flavour I took Heidi's tip and popped the bread under the grill. 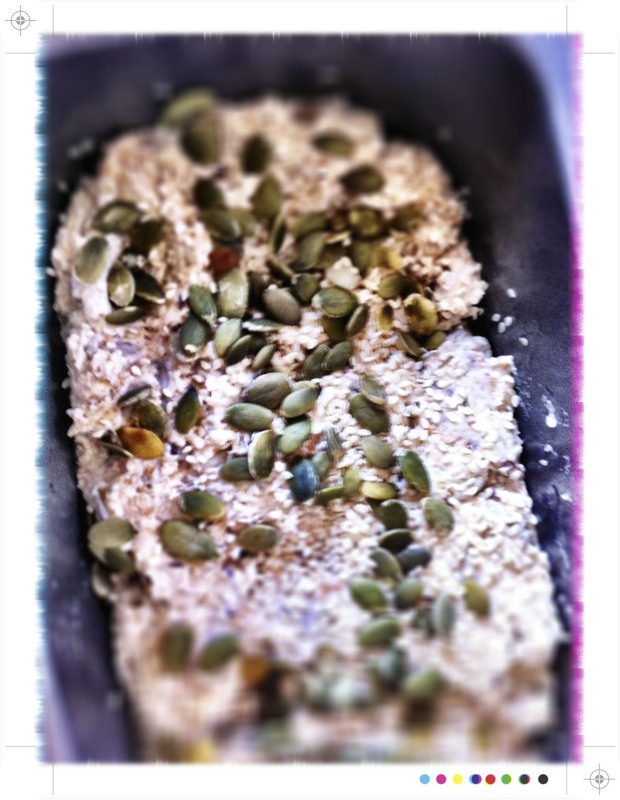 Just for a moment though, as the pumpkin seeds can go from toasty to burnt in a second! 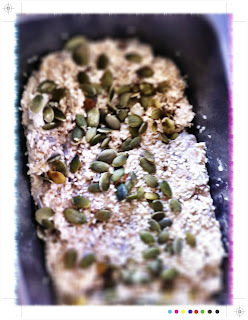 Take the bread from the oven and turn the bread out of the loaf tin. Allow it to cool on a rack, if you can wait that long or tuck right in, cut a slice and slather in butter....heaven! I agree! Home-made bread is the best and I personally don't buy any bread any more. This sounds so tasty, looking forward to trying this soon! 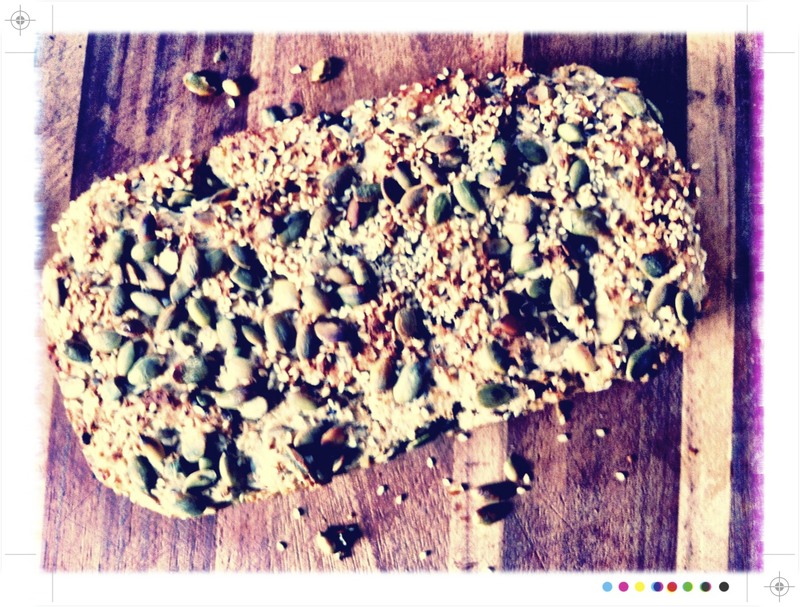 I love bread with lots of seeds too - definitely have to give this one a try. Yum, you had me at 'seedy oaty'. Looks delicious and filling! Homemade bread is the best! 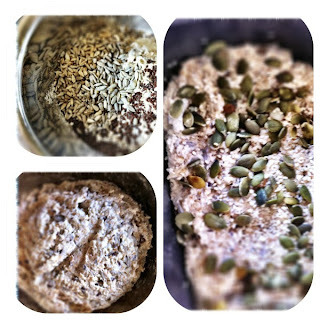 Seedy and oaty totally catch my attention...this sounds terrific. @Hannah Thanks Hannah, it's my favourite for the moment, a definite plus that is it so easy!